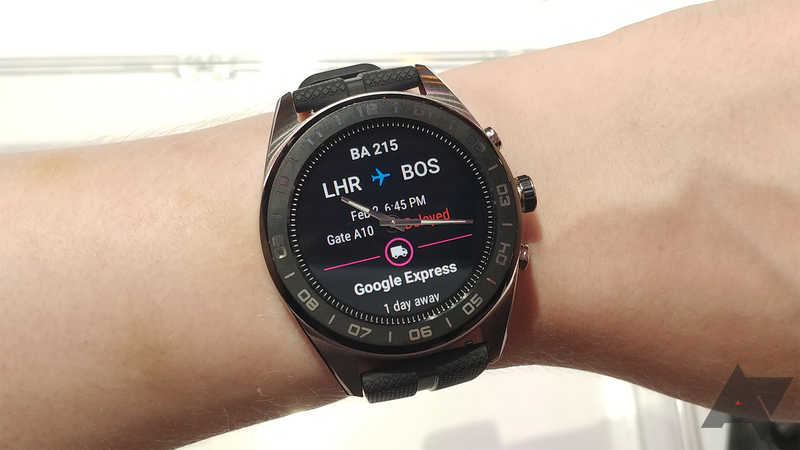 LG has been making Wear OS watches since day one, but the company unveiled something a little different last month — a smartwatch with physical watch hands above the LCD screen. The Watch W7 was released on October 14 for $450 (yes, you read that right), and now it's $200 off at multiple retailers. The specifications include a last-generation Snapdragon Wear 2100 processor, a 1.2-inch 360 x 360 LCD screen (with hands sitting on top), and a 240mAh battery. There's no NFC, no LTE, and no heart rate sensor. The mechanical hands also have a tendency to cover text and UI elements. You can collapse them by holding down a button, but they'll return to the normal position once you let go. We're still waiting on a review unit, but early customer reviews aren't positive. There are complaints about the battery life (one said the watch lasted 7-9 hours, another said 5 hours) and the mechanical hands blocking content on the screen. If you still want to buy one, it's available from Best Buy and B&H Photo at the links below.